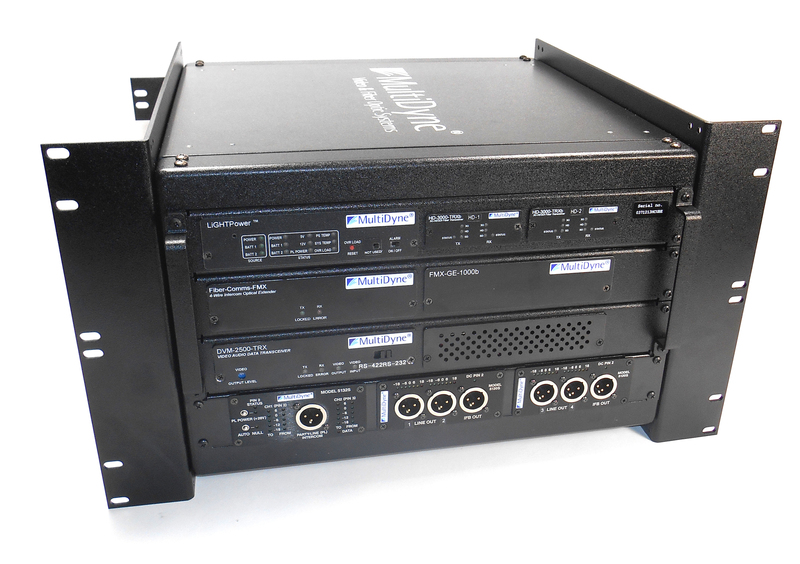 Rack Mount Kit for Cube Products. Compact, inexpensive method of extending the range of your JVC multicore cable. With the LiGHTBoX–MC, you are no longer restrained by the 300ft maximum length of the JVC multi-core. The LiGHTBoX–MC mates to the JVC sled for tripod application or mates directly to the camera with an optional multi-core adapter. With either option, the camera can be powered by the LiGHTBoX, eliminating the need for other camera power systems.